What makes a villain so villainish? I attended a panel at the LTUE conference last weekend where they discussed that very thing, and the panel came up with two types of villains. The first is the villain who does bad things because it’s fun. The second is the villain who doesn’t consider himself a villain, but when the pressure is on, they aren’t afraid to make a difficult choice to get what they want. Let’s look at these profiles in depth. This is your basic serial killer type, who kill just for the pure pleasure of it. They have no qualms about what they are doing, and most of their thinking doesn’t quite match up with society. He’s got Sociopathic tendencies. 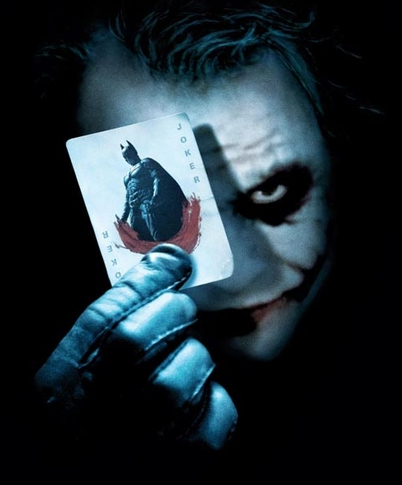 Think Heath Ledger’s version of the Joker. This is the person who does things just because he can. When we look at The Mummy and it’s sequel (we’ll ignore the third one since it was just weird), we see two couples deeply in love. On the good side, you have the flashy American hero, Rick, and his girl, Evie. And the baddies are the mummy, Imhotep, and his girl, whats-her-name. Rick is a great hero, but he doesn’t have qualms with killing people. He’s good in a fight, but when it comes down to it, he usually makes the right decisions. He does anything to protect his family, and a complex hero that we love to cheer for! Now Imhotep loves his girl so much, death cannot separate them. He resurrects the girl’s spirit in her reincarnated body so they can be together. But in the end, she gives into selfishness, and instead of saving Imhotep, she runs away to save herself. But if you go back to the beginning of their story, their whole relationship was based on mutual goals, and a mutual selfishness. 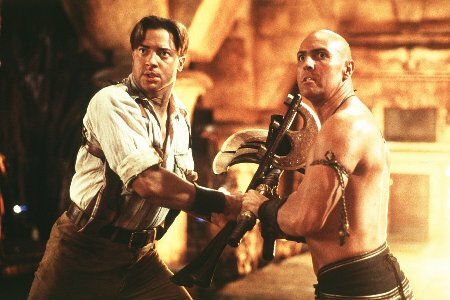 In the first movie, Imhotep selfishly wants his girl back, and he is willing to sacrifice another girl to get that. As tempting as that is, could you see Rick doing that same thing to get Evie back? Every character you write faces one choice after another. Will they follow the values that society has given us–trustworthy, loyal, helpful, friendly, courteous, kind, obedient, cheerful, thrifty, clean, and reverent (thank you Boy Scouts for providing me a great list! )–or will they follow their own selfish desires? Will they help a fallen comrade even if it means they would die as well, or will they leave a man behind to save their own skin? The more you switch up these characteristics in your protagonist and villain, the more complex your characters will be. 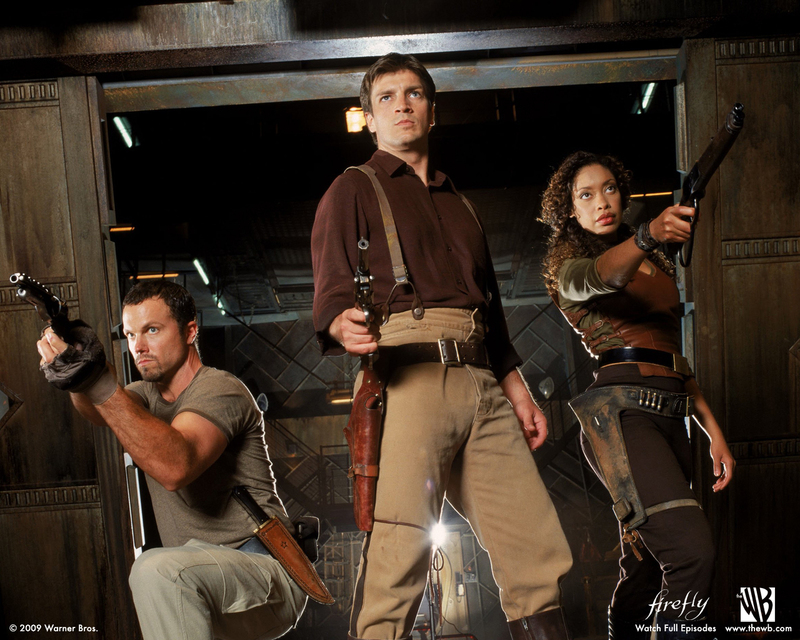 A good example of this is Firefly, where the characters are essentially murderers and thieves, but wait . . . they are the good guys. They are loyal to each other, and fight for what they feel–and what the audience would agree–is right. Match your villain to your story. Now when you are creating the villain for your novel, it’s important that your villain match your story. You can’t have a Hannibal Lecter in a YA Romance. It just doesn’t fit. So when considering your story, think on the scale where your villain falls. From schoolyard bully to serial killer, there is a wide range to pick from. Make the villain as 3-dimensional as your protagonist. Give the villain backstory, which might include a traumatic event that led the him being a villain. That could be their motivation for making the choices they do. You don’t have to add that to your story, but it will help flesh out the character in your mind, which will come across on the page. Add the good to the bad. Remember to flesh out your character, and a good villain isn’t purely evil. They have good attributes mixed in there as well. You know that old saying to “show the villain kick the dog?” Well maybe have the villain love dogs, so he treats them better than he does humans. What does the villain want? Usually this goal collides with what the protagonist wants. Or sometimes the goals are the same (an extreme example would be world peace), but the villain will sacrifice horrible things to obtain that goal. Think Nazis where the ends justified the means. Sincerity sells the character. You have the make the villain truly believe what they are doing to make your villain believable. Remember the comeuppance. The villain has been horrible the whole book, and the reader wants them to get what they deserve. That doesn’t mean kill off your character. In the second Harry Potter book, Malfoy’s comeuppance is when he loses his servant, Dobby, because Harry tricks him into giving Dobby clothes. After treating Dobby so horribly the whole book, we are so excited to see Malfoy go servantless for the rest of the series. And in some books, this never does come around. 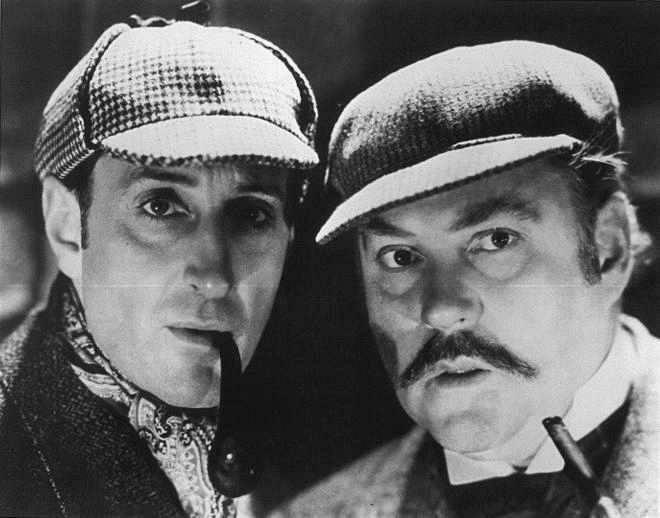 Sherlock Holmes would’ve made the world’s best villain, but instead he constantly chose to solve crimes instead of instigate them. So who’s your favorite villain? What makes that person so appealing to you? a weekly winner? what madness is this?? And like I mentioned in my recent post about villains…Sue Sylvester from Glee is a fantastic bad guy. Very complex. Thanks for sharing what you learned in this class! It was one I didn’t get to. I really love the Lord Ruler in the Mistborn series. He seemed like the ultimate “I’m going to be bad just because I can” baddie, but then you learned more about him…and in some ways, he was the good guy! Okay, not really a good guy, but he sure had some really good motives for what he was doing. I loved that, and I loved the way information about him unfolded throughout the trilogy. I wanted to go to that panel, but the room was too crowded. Glad you gave us a rundown. It helps me focus more on my WIP villian. I’m going to have to tighten some motives in the rewrite. Thanks for your blog. Love all the villains mentions so far — absolutely amazing! So glad I could give a rundown for all those who missed it. Karen C — good luck on the WIP! Love this comprehensive blog post. I think my favorite kind of villain is the ‘bad guy who doesn’t know he’s the bad guy’ – I always feel a little bit sad for him. romancinfdorthrills – you are so right. If the villain is fleshed out enough, we do get the reader to feel bad for them. Such a hard task, but amazing when the writer can pull it off!